You are here: Home › News › Uncategorized › Capitol Asset Recycling Provides E-Cycling at all 7 Mom’s Organic Market Locations. 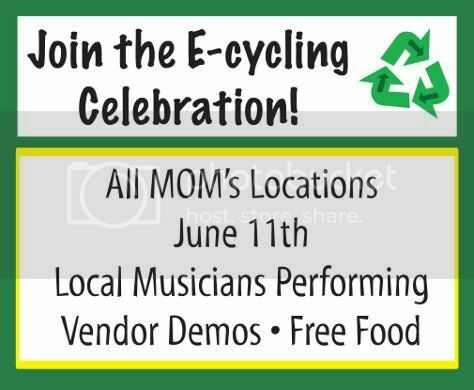 Capitol Asset Recycling will be at MOM’s Organic Market June 11th at all 7 locations from 11am to 7pm. Come by and enjoy the provided food and music. Join MOM’s Organic Market and Capitol Asset Recycling to drop off your old electronics, from cell phones to computers to old VCR’s to old TV’s. Everything will be recycled in an environmentally safe way. Our no landfill policy, provides you with peace of mind that your old electronics will be disposed of in an environmentally safe way.